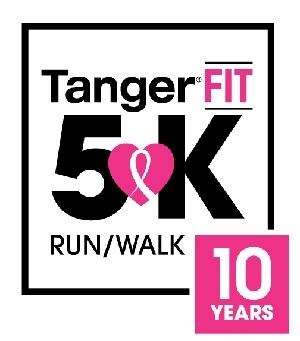 Tanger Outlets is in need of 50 volunteers for the 10th Annual TangerFit 5K Run/Walk & Silent Auction benefiting Breast Cancer Foundation of the Ozarks (BCFO.org) Saturday, September 29. Silent auction and cheering on our runners and walkers! Volunteers should be on property by 6:30am to complete event waivers and be given assignments. The race begins at 8am and awards and Silent Auction should conclude by 9:45am. Please park in our overflow lot off Oak Creek at the west end of the property behind LOFT Outlet.